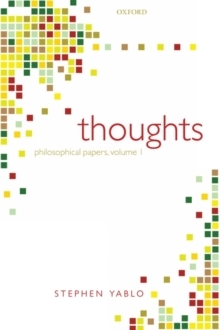 Thoughts is a collection of twelve essays by Stephen Yablo which together constitute a modern-day examination of Cartesian themes in the metaphysics of mind. Yablo offers penetrating discussions of such topics as the relation between the mental and the physical, mental causation, the possibility of disembodied existence, the relation between conceivability and possibility, varieties of necessity, and issues in the theory of content arising out of theforegoing. The collection represents almost all of Yablo's work on these topics, and features one previously unpublished piece.